Instead of buying and installing SSDs, storing Graphite’s whisper files in a memory-backed filesystem can be a good way to go if you have the RAM to spare. Depending on your environment, you may or may not care about losing a few minutes (or hours) of metric data. 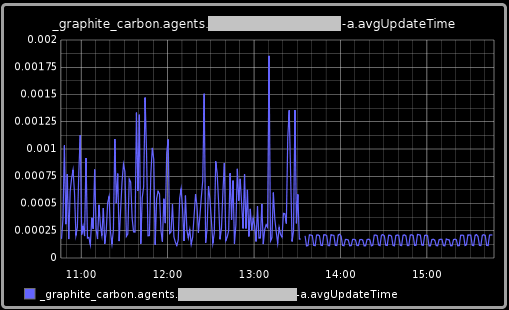 I know we certainly don’t care about losing 30 minutes, so there’s no reason for our carbon-cache instances to be scrawling to persistent storage 24/7. 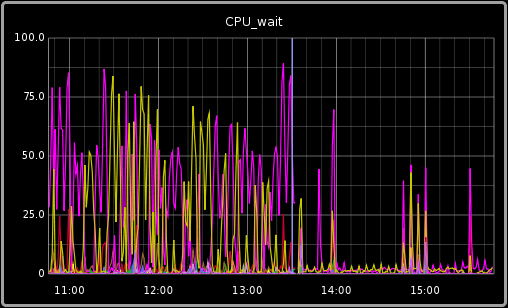 The Linux tmpfs implementation would look something like the following. Add ramdisk_size=N (where N is the size of the RAM disk you want specified in KB) to the kernel line in grub.conf for your distribution. Reboot. Create a filesystem on the RAM disk device and mount it. You pointedly do not want to waste efficiency by using a journaling filesystem here, so use an ext2 filesystem and do not reserve any “minfree” space.